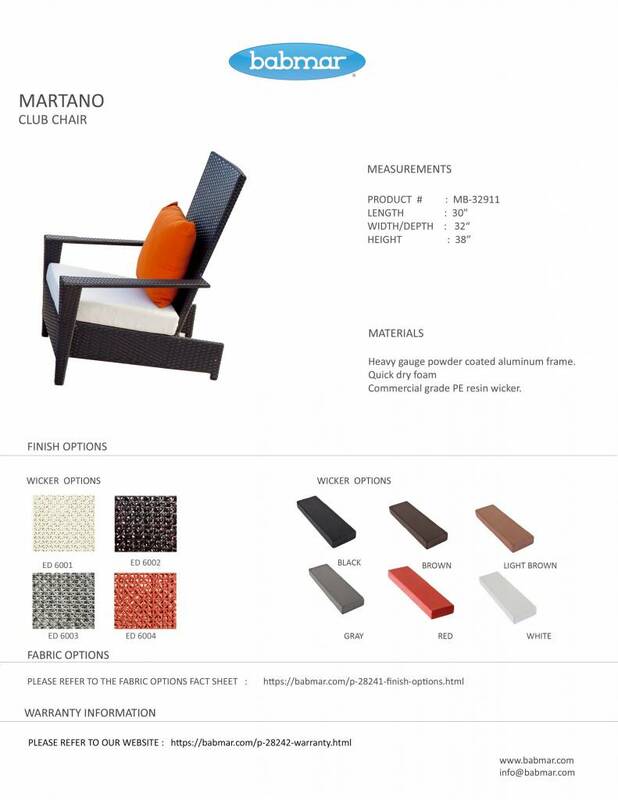 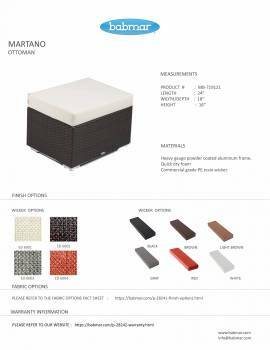 Wrapped in Babmar Fiber®, the Martano Chair and Ottoman are able to withstand the harshest of elements with a style. Available in dark brown all weather wicker with off-white or dark brown SunProof cushions. 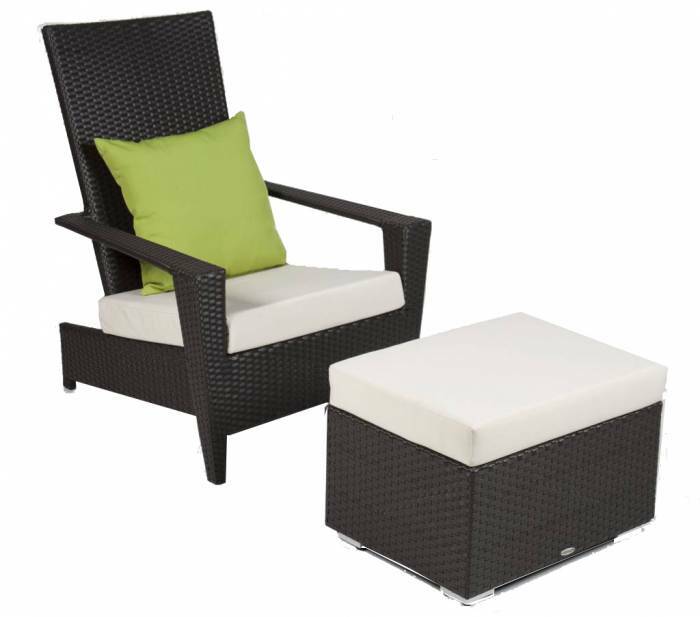 This chair is detailed with a 4" thick cushion. This ottoman is detailed with a 4" thick cushion and brushed aluminum footings. 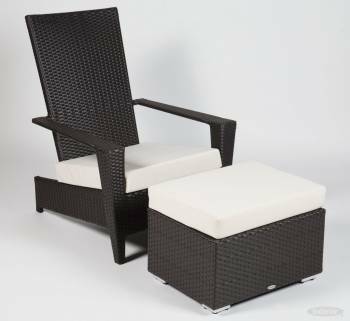 * Throw pillow not included.